A one-woman media phenomenon and a leading YouTube influencer takes readers behind the camera, and deep inside her world. 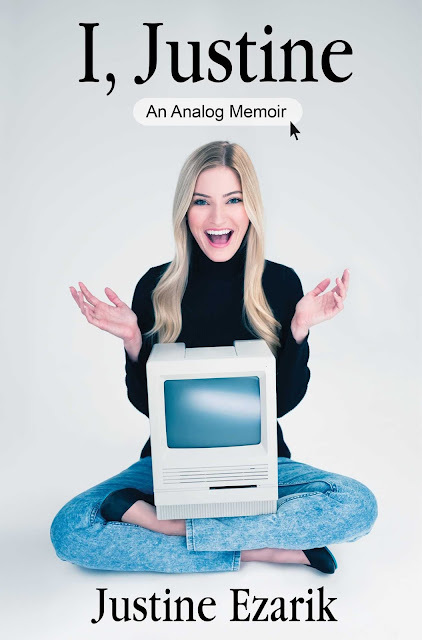 Justine Ezarik has been tech-obsessed since unboxing her family’s first Apple computer. By sixth grade she had built her first website. A decade later, she became one of the Internet’s first—and most popular—“lifecasters,” inviting people around the world to watch her every move, twenty-four hours a day, seven days a week. But it was a one-minute video about an itemized AT&T bill that gave Justine her first taste of viral success: Within ten days of release, her “300-page iPhone bill” had garnered more than 3 million views and international media attention. These days, iJustine is a one-woman new media phenomenon: The popular techie, gamer, vlogger, and digital influencer has an army of nearly 3.5 million subscribers across multiple YouTube channels, with total views approaching half a billion. Now, Justine is giving friends and fans a look behind the scenes, sharing never-before-told stories about the hilarious (and sometimes heartbreaking) reality of sharing your life online. With her trademark wit and delightfully weird sense of humor, Justine delivers an inspirational message in support of creativity, entrepreneurship, and the power of staying true to yourself, while reminding readers that the Internet is a very small world—you just never know who you’re going to meet. I recommend this book to fans of iJustine.